Eye Injury Claims – How Compensation Could You Be Owed? Have you suffered from an eye injury which was caused by the negligence or actions of someone else? If so, this guide contains all the advice you need to be confident in making a personal injury claim. Whilst eye injury claims are relatively common, a large number of the claims we see are for less serious levels of injury. Any injury to your eyes could seriously impact both your ability to work and your private life. Even minor injuries can significantly reduce your ability to see and go about your life as normal. Even if this effect was only for a short period of time, the impact on you could be big. As a result, even lesser injuries can be awarded a significant eye injury settlement amount. Whether you suffered an eye injury in a workplace accident, or in other circumstances, as long as you can show that someone else was responsible for the accident happening, you could claim compensation. Our advice for victims of eye injuries is set out below. How Much Can I Claim For An Eye Injury? How Much Compensation Do You Get For Losing An Eye Or Loss Of Sight? How Much Time Do I Have To Make An Eye Injury Claim? Can I Make A No Win No Fee Claim For An Eye Injury? Ways Our Advisors And Experts Can Help You? In this guide, we aim to provide you with all of the advice you need to feel confident about contacting a personal injury solicitor to make an eye injury claim. We will look at everything you need to know and do when considering a personal injury claim for an accident at work, or elsewhere. We will also look at what you need to do if you have been injured and how you start a compensation claim. We also address and answer frequently asked questions such as ‘how much is an eye injury worth?’ by providing examples of eye injury payouts. Lastly, we will take you through the benefits of making your claim through a no win no fee solicitor. Put very simply, an eye injury includes any injury affecting your eye. For the purposes of a personal injury claim, this refers to the eye socket, the ligaments, and muscles which control the movement of the eye and the eyeball itself. Your eye injury could be caused by trauma such as a being penetrated by a foreign object, exposure to a chemical substance or UV radiation, or simple blunt force trauma. You can make eye injury compensation claims for a variety of different types of injuries caused in a multitude of circumstances. The more serious the impact of the eye injury, the higher the amount of compensation you could be entitled to claim. It is unlikely to surprise you that how much an eye injury is worth will differ depending on what injury you suffered and how serious this injury was. At the lower end will be relatively minor injuries from which the victim is expected to heal in a short period of time. At the upper end of the injury scale, claimants may have suffered partial or even complete blindness in one or both eyes. 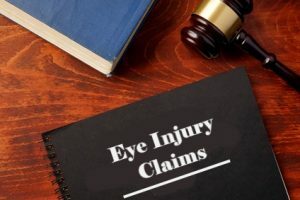 Victims of eye injuries often search online for eye injury claim calculators to see how much their claim could be worth. We do not recommend using one of these personal injury claims calculators as they may not always be accurate. Without knowing the full details of your injury, it is not possible to tell you what your eye injury settlement amount will be. Instead of a calculator, we have included a table below in which we look at examples of eye injury claim amounts, as set by the Judicial College. significant risk of any loss or reduction of vision in the remaining eye. Also includes cases where there is persistent double vision. Loss of sight in one eye £7,990 - £18,390 Cases where there is a minor loss of vision in one or both eyes. Expected to be permanent. Minor eye injury £3,460 - £7,650 There are a diverse range of injuries contained in this ‘minor’ category. Transient Eye Injuries £1,930 - £3,460 Such injuries would be expected to be heeled in just a few weeks. Losing your sight either partially or fully and in one or both eyes is the most serious level of eye injury. As these amounts tend to be higher, we have included such injuries in a separate table to highlight their severity. Loss of one eye £48,080 - £57,590 How much compensation you get for losing an eye could depend on factors such as your age and any cosmetic injuries and scars. Loss of sight in one eye, where there is reduced vision in the remaining eye. £84,160 - £157,600 Eye injury payouts for the loss of sight in one eye are higher when there is also scarring present. For further advice on how much compensation you get for losing an eye, talk to an expert personal injury solicitor today. Each and every eye injury claim will be different and consequently, total eye injury claim amounts paid will vary claimant to claimant. However, the way in which the compensation is calculated will remain the same. Personal injury claims calculations made by solicitors will take into account two forms of damages, general damages, and special damages. General damages are those compensating people for the injury itself and are those dealt with above. In cases such as injuries to the eye, claimants may be awarded compensation for the injury as well as the psychological trauma suffered. Special damages are eye injury payouts compensating you for the financial impact that the accident or injury has had on you. They take in to account any costs you have already had to meet, such as medical costs, the cost of care in the home, having a home or vehicle adapted, other travel expenses related to your injury and the effect on your income. If you have lost income or workplace benefits, you can include these losses in your claim. If it is anticipated that you will need to meet further costs and will also not earn income, you can also claim for these future losses. Whilst there are many ways in which your eye or eyes could be injured, there are circumstances which we see again and again having caused eye injuries. There are also types of eye injury which our team will see more often than others. In the following few sections, we look at some of the most common forms of injury people make claims for. Scratches and abrasions of the cornea are one of the most common forms of eye injury. They can happen quite easily. One of the most common ways this happens is when a foreign body enters the eye and you rub it reflexively. Cornea scratches can cause your eyes to become much more sensitive to light and we do recommend that you seek medical attention, rather than trying to care for your injury yourself. Scratches to the cornea can have a large impact on your vision if they are immediately treated. Whilst your eye is recovering it is more susceptible to infections. If you have scratched your cornea because of some else’s negligence, such as your employer failing to issue you with protective eyewear, you could make an eye injury compensation claim. This category of injury is very similar to that discussed above and penetrating foreign bodies will often the cause of scratches to the cornea. If a foreign body does penetrate one or both of your eyes you should seek medical care straight away. Such injuries can have a serious impact on your vision if not treated as quickly as possible and could even cause the loss of sight in one eye (or both). In the event that you have had such an injury, the NHS recommends that you shield your eye with a loose covering. This can help to avoid further damage. Injuries caused by a sharp object, such as metal, can cause you to lose your sight in serious cases. The impact of such injuries can be minimised and loss of sight could even be avoided if treatment is administered promptly. Talk to our experts today to obtain advice about how to claim for a penetrating eye injury. If you suffer a chemical burn to the eyes or are sprayed with a chemical substance, it vitally important that you get medical treatment as quickly as you can. The treatment you will need, how long it will take, and what recovery you can expect will depend on the specific substance that you come into contact with. You can find detailed information on acid and chemical burn injuries in this guide from the NHS. The most important thing you can do is to get medical treatment as quickly as possible after exposure to the chemical substance and to tell paramedics or doctors what the substance was. In the same NHS guide above, the health service recommends rinsing the affected area as quickly as possible with clean water. In these cases, it can help to dilute the effect of the injury. To discuss how much you can claim for an eye injury caused by exposure to a chemical substance, talk to a solicitor today. A blow to your eye caused by blunt force trauma can cause a variety of injuries. You could suffer soft tissue injuries, such as bruising, around the eye and eye socket. Sufficiently hard impacts could also cause breaks and fractures of the eye socket. An orbital fracture (break of the eye socket) is commonly caused by a large impact. Using a sun lamp or sunbed can be an easy way to get a or top up a tan. However, they can also cause a variety of different injuries. Among these are eye injuries. Exposure to radiation, such as to UV or ultraviolet light produced by some such devices can cause damage to the eyes. Users are always advised to wear the protective eye goggles which should be issued when using a UV tanning bed. Failure to be issued with these could lead to your vision being impacted. If you have suffered this type of eye injury, make a claim through our experienced team by contacting us today. We are not a medical advice company and all such advice is taken from sources such as the NHS. we always recommend seeking medical treatment as promptly as possible. The NHS recommends that if you experience any of the following symptoms, you should visit your closest A&E department for urgent treatment. Eye pain which is severe or persistent. A foreign body which you can not wash out. Double vision or decreased vision. If you see flashing lights, halos or shadows or spots in your vision. Pain in your eye when exposed to brighter lights. Serious and deep cuts close to the eye. If your eye is protruding from the socket. If your eye injury was caused by something flying into it at high speed, a sharp object penetrating the eye, or exposure to a chemical substance. If exposed to chemicals, flush your eye with clean water for ten to fifteen minutes. You can find your closest A&E department using this NHS tool. Your employer has a legal obligation to make sure that you are provided with a workplace which is safe, hazard free and healthy to work in. If your employer has failed in your duty of care, you could be able to claim for an eye injury suffered as a result. If you have suffered an eye injury in the workplace due to the negligence of your employer, we advise you to contact a specialist personal injury lawyer to help you through the process of making eye injury at work claims. As highlighted in the previous section, employers owe their staff a duty of care to take any preventative measures necessary to ensure their safety. However, accidents at work are not the only circumstance in which eye injuries happen. When participating in leisure activities, or carrying out DIY, make sure that you always use any recommended protective equipment, such as eyewear. Injuries such as cornea scratches can even be caused by the misapplication of contact lenses. Make sure that you follow their instructions to use safely and hygienically. Eye injury claims need to be brought within the personal injury claims time limit in order to be valid. Whilst there are instances in which this limit varies, generally, it will be three years from the date on which you were injured. There are circumstances in which this varies and in some cases, it is possible for a court to extend the time limit. For quick reference, we have included a simple table for you to consider when making a personal injury claim for an eye injury. How much compensation you get for losing an eye could depend on factors such as your age and any cosmetic injuries and scars. Child eye injury claims Responsible adult can claim compensation on their behalf till 18, or three years from 18th birthday. Eye injury payouts for the loss of sight in one eye are higher when there is also scarring present. Criminal injuries 3 years, there are exceptions to this. In order for you to make a successful eye injury claim in the UK, you will need to show that someone else was responsible for your accident and injuries. Having evidence which can prove what happened to you, such as photos of your injury and the cause of it can go a long way towards helping you have a successful case. If your accident happened at work report it to your employer and make sure it is recorded in the accident report book. This creates additional evidence. If another person, such as a colleague, saw your accident happen or the cause of it, ask if they are prepared to be a witness in your claim. Contacting an experienced solicitor specialising in personal injury claims is also a good idea. They will be able to assess your injury and the circumstances in which they happened. They will be able to answer questions such as whether you have a strong claim and how much is the loss of an eye worth? If someone else was responsible for your accident, you have evidence of your injuries and are bringing your claim within the applicable personal injury claims time limit (as discussed above), you should be able to make a no win no fee claim. Most solicitors will offer clients a no win no fee agreement. Whilst there are several benefits to this type of contract, the biggest of these is that you do not need to pay anything to start your claim. A no win no fee claim also protects you from any financial losses, as if you do not win compensation, you have nothing to pay. A no win no fee agreement. Solicitors with up to decades of experience. Medical examinations of your injuries. To start your claim just take these simple steps. Contact our team using the contact form or phone number on this page. Our experts will assess your claim. Once you are ready, we can then start your claim. 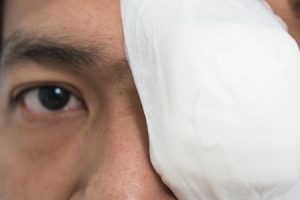 Advice and recommendations on how to treat and deal with eye injuries. Here we provide advice on how to make a successful workplace accident claim.